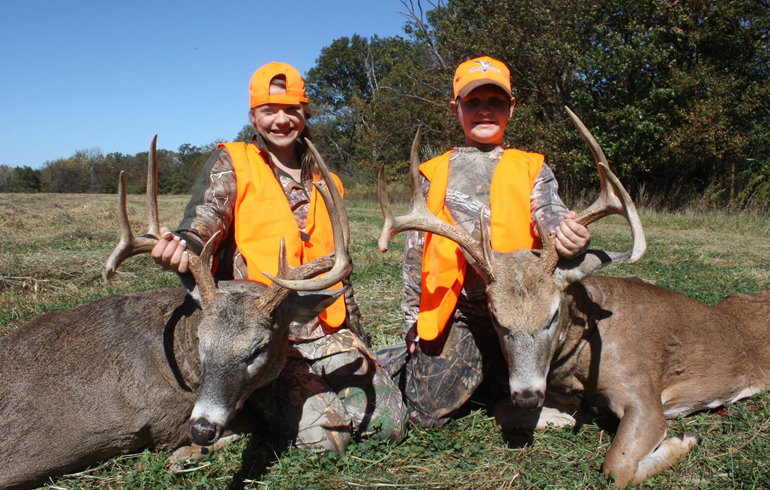 Taking kids (family or friends) hunting makes the entire experience more enjoyable. What better way to spend your favorite past time than with your own family and friends! Not only is a great time to teach kids to put down the electronics and experience nature…it also opens the opportunity to have great conversations with your kids that may never have happened otherwise. It gives you hours on end without distractions to: open up, talk about things, and really become a close-knit family. Physical Labor – When it comes to hanging stands, cutting lanes, planting food plots, or just the general scouting, physical labor usually plays a hand. Stands are heavy, bugs can be bad, the weather can be tough and I think it’s extremely important for kids to understand what physical labor is all about. All hunters need to understand that stands don’t just go up on their own. It will lead to a great appreciation for the time and effort it takes to have a successful hunt. Importance of planning/preparation – The importance of planning and preparation are huge when it comes to hunting. Many times if you forget something you will just have to do without until the end of that days hunt. This can make you uncomfortable but it will also help teach the importance of getting your gear ready the night before so you’re prepared. This can help not only on hunts, but in life in general. Most people only forget their lunch or water once. Sure you won’t starve to death in a day, but it can be a long sit without any snacks or water. I’ve only done it a couple times and learned my lesson quickly. 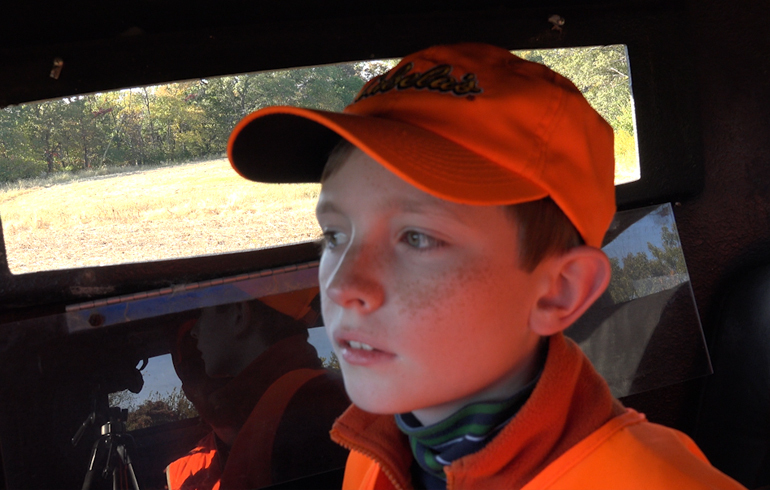 Disappointment – I learned all about disappointment my second year hunting. My first year was a success and I assumed it would always be that way if I hunted hard. Second year out I hunted just as hard and came up short. My dad explained that’s just the way it goes sometimes and I’ve experienced many doses of that reality since then.I think it’s great to learn how to deal with disappointment early on because everyone needs to know how to handle it. 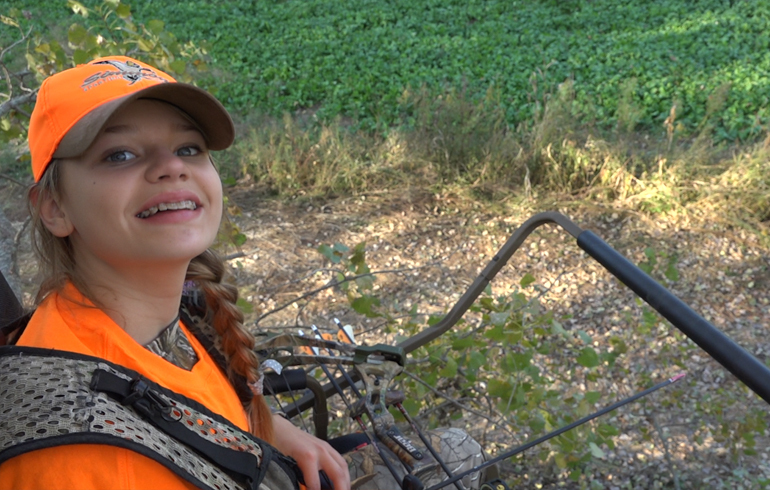 Responsibility – Whether it’s the responsibility of having a gun in your possession, or the responsibility of getting your homework done, or chores done before you get to go hunting…being responsible is a very valuable lesson. Mental Toughness – Conditions in the field are not always ideal. There will be times that its hot, cold, buggy, windy, snowy, etc. Weather conditions alone can teach valuable mental toughness lessons. take its course in a variety of instances, and I believe its super important to see and understand this firsthand. 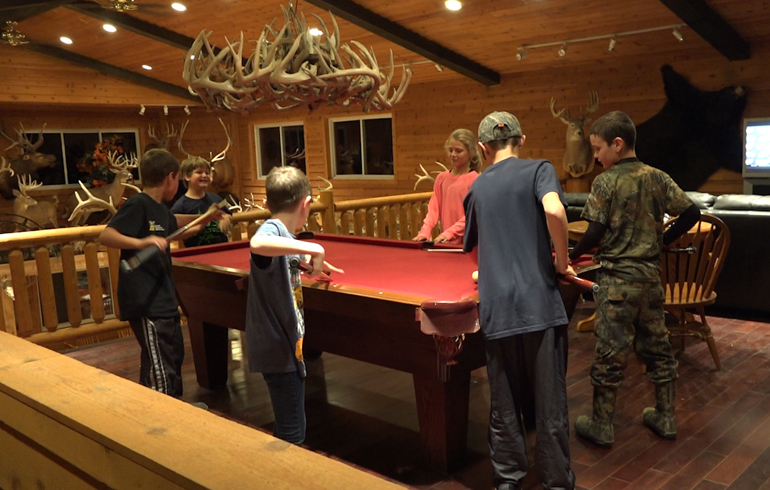 It teaches kids about how population control is important and how cruel nature can be if hunters do not help out. Cooking Skills – In our family, we cooked all the wild game we harvested. I remember having squirrel for Sunday dinner along with duck, goose, deer, and anything else we were lucky enough to take. Not only did my parents teach us how to clean it, but we also helped wrap it for the freezer, make it into canned deer meat, sausage, hamburger, etc. They also taught us early on how much healthier it was to eat wild game and why. These are things that sink in much better when you’re part of the entire process rather than reading it in a textbook or learning it in school. Read Weather – As a kid weather and wind direction probably weren’t at the top of my list when it came to things I was interested in…however hunting changed that. I learned how important it was to check the weather, not only so I could have the right gear to be prepared but what stands to sit, where to hunt, and what to expect. This proved to be extremely helpful and also gave me an added interest to an area I may not have cared much about if it weren’t for hunting. 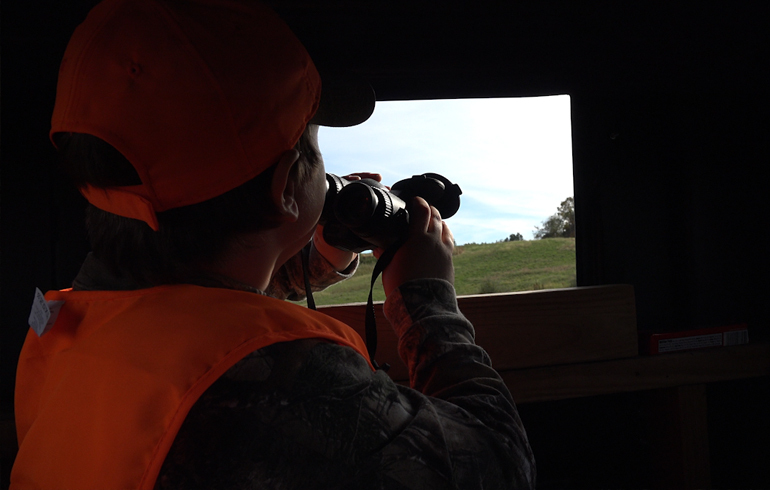 Biology – Whether you’re out turkey hunting or deer hunting…kids have a lot of questions. When they’re seeing game or hunting it they want to know what sounds a deer makes, why they make them, the difference between a hen and drake mallard. All things that peak their interest because they’re currently engaged in the activity. It’s a night and day difference learning about animals in a high-school biology class versus being in the field and seeing and experiencing nature first hand. Patience – Unfortunately things don’t happen in 30-minutes like you see on outdoor television. It takes hours and weeks of hard work and patience at times and this is something that can only be taught one way, firsthand. It’s easy to become frustrated. But all it takes is just one fun encounter with a gobbling turkey or deer to quickly forget about all the long hours and suddenly the excitement of that experience trumps everything else and they begin living for the next time that happens. I can’t stress how importantthe idea of patience is both in and out of hunting, and this could be one of the most important things gained from the outdoors. 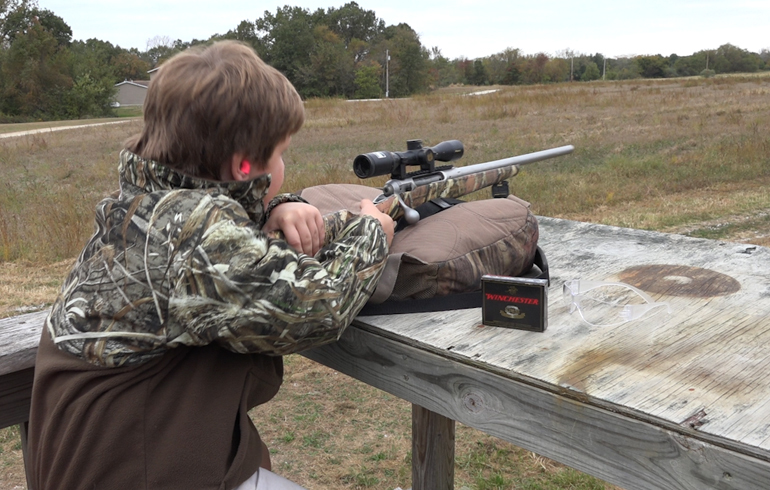 Conservation – Learning the true benefits that hunters bring to conservation is extremely important. 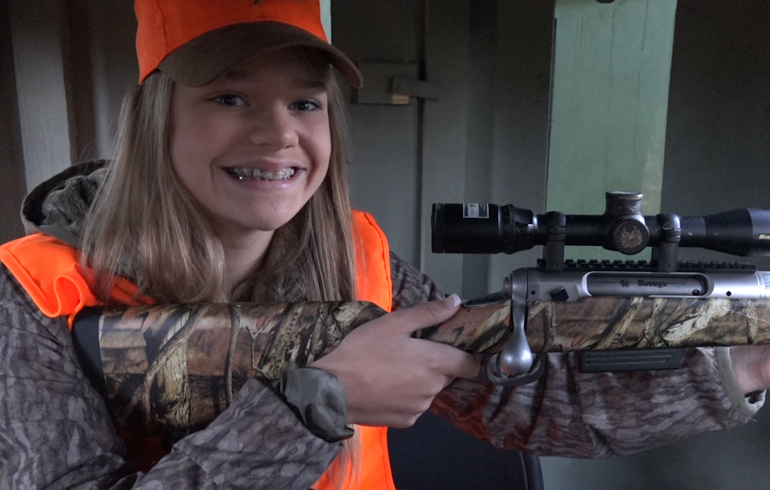 This is a duty we adults all share…we need to teach young hunters and outdoor enthusiasts. It’s not only important for the kids to learn, but the next time they go to school and a kid or even a teacher for that matter make a negative comment about hunting, they will have the knowledge to explain why hunters are important and how conserving our land is our number one goal.